Welcome to "The Evidence Bible Online." 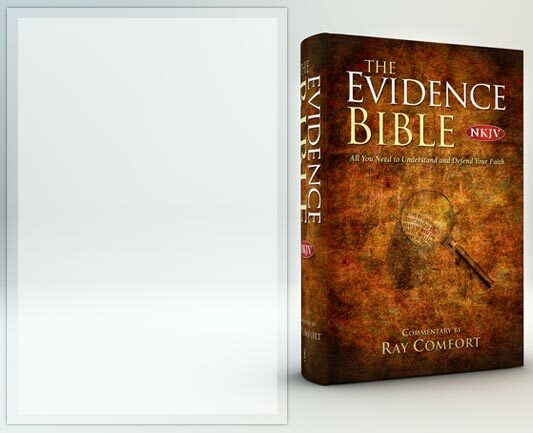 The Evidence Bible is commended by Josh McDowell, Dr. D. James Kennedy and Franklin Graham, and was a finalist in the 2002 Gold Medallion Book Awards. In "The Evidence Bible Online" you can can read online, or download and save, the entire New Testament, Psalms & Proverbs in PDF (Adobe Acrobat) format. This format allows you to see the inside of this Bible, just as it appears in the printed ones. Browse "Answers from the Evidence Bible" to get the answers to over 100 of the most commonly asked questions about, and objections to, the Christian faith (arranged topically). For more evangelism resources please visit LivingWaters.com.